Staircases, blindspots around corners, and rooftops are just some of the most dangersous spots for law enforcement to approach. 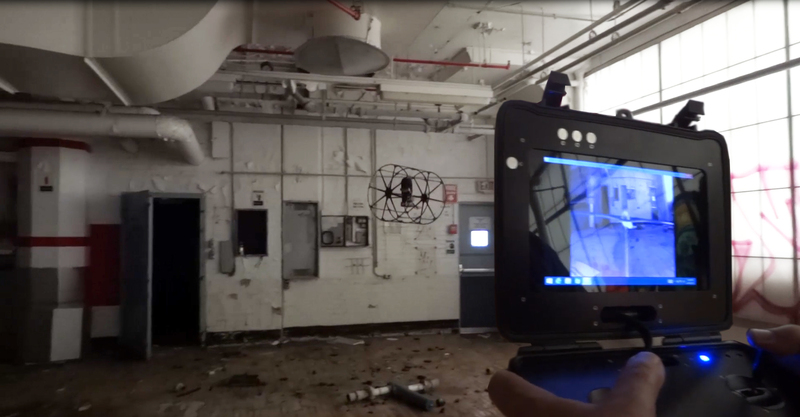 Identifying the need to keep officers safe in the line of duty, R4 Robotics has developed a line of aerial drones that can be utilized by law enforcement and SWAT in dangerous situations both inside and outside of buildings. 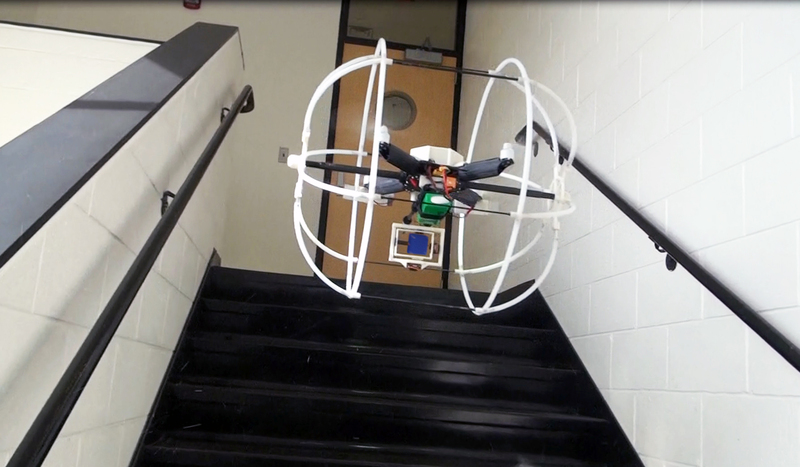 These R4 Roller drones can roll up the side of large buildings, hover in front of windows, fly through stairways and navigate multiple levels in a large structure. Hidden inside the R4 Roller is some of the world’s most advanced military proven transmission technology. 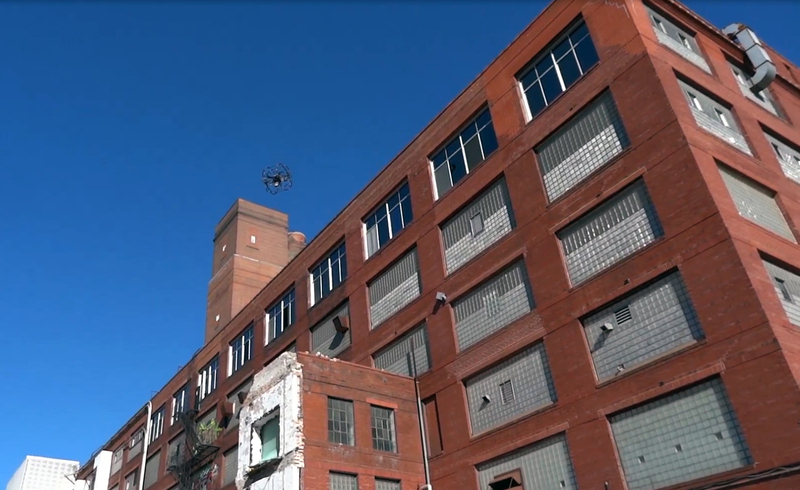 Powerful controllers and video transmission allow the pilot to fly from a safe distance, while the drone returns high quality video to the operator. R4 Roller models can be used both indoors or out! Approaches from the ground rolling, easily jumps obstacles, flies up stairs or hovers in front of windows or anything – No fear of flying. Broadcast quality transmission technology is optimized for maximum wall penetration of live video from the dark-to-daylight camera. Choose from the R4 Robotics Large Roller or Small Roller models. Though both models can be used indoors AND outdoors, the large model is better suited for taller buildings in high wind conditions – while the R4 Small Roller can navigate smaller areas such as hallways and narrow doorways. Powerful remote control for Non Line-of-Sight operation (buildings). Robust gyro/accelerometer (IMU) based on-board flight controller. With clear and present danger potentially lurking around every corner, keep your officers out of harms way. 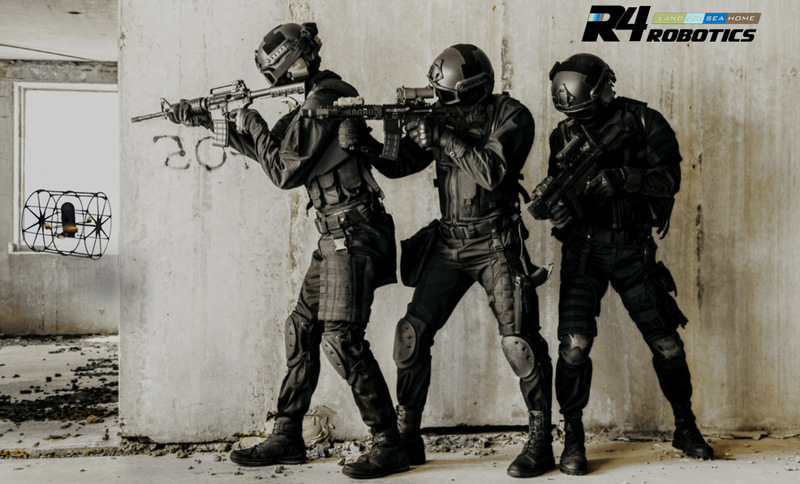 Allow R4 Robotics to lead the way with their unmanned aerial inspection drones that can investigate ahead of your team and broadcast HD video of the situation and terrain.